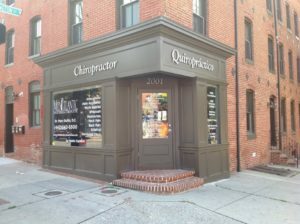 As chiropractors who care about utilizing the most advanced chiropractic techniques, Dr. Marc Gulitz and his team at Mid-Atlantic Spinal Rehab & Chiropractic have years of training, expertise and experience in helping patients experience pain relief for back pain, neck pain, headaches, and other related conditions originating from the spine. They utilize several chiropractic techniques to bring about pain relief including: diversified spinal manipulation (hands on), cox flexion-distraction technique, and Thompson Drop technique. For those patients that either do not want hands on manipulation or cannot tolerate it, we offer low-force instrument-assisted spinal manipulation and other therapies to best treat their conditions.